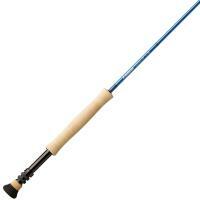 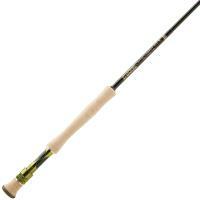 The Hardy Demon Saltwater Fly Rod combines high quality components to engineer a lighter and faster saltwater fly rod. The SINTRIX 330 blank construction increases the strength to weight ratio and improves in-hand balance for better casts and tighter, cleaner loops. 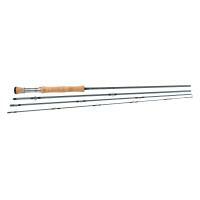 The rod is outfitted with lightweight Fuji guides for smoother line movement. The Hardy Demon Saltwater Fly Rod combines high quality components to engineer a lighter and faster saltwater fly rod. 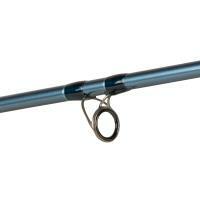 The SINTRIX 330 blank construction increases the strength to weight ratio and improves in-hand balance for better casts and tighter, cleaner loops. The rod is outfitted with lightweight Fuji guides for smoother line movement and an aluminium reel seat for a secure and custom reel placement.